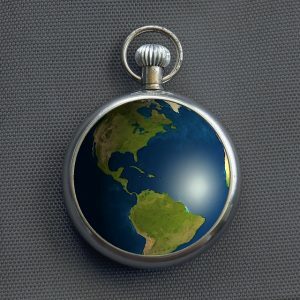 [Everyday] Psychophilosophy » Why Does Time Fly? And like that—[I just snapped my fingers at the computer screen]—the summer is over and school is back in session. As a kid, that final day before the new school year was always one of the worst days of the whole year. And for this summer, it wasn’t much different—I was just able to drown my melancholy with alcohol. But the passage of time is an interesting one, and everyone from Einstein to my mother (“You’re bored? Well why don’t you clean the bathroom?”) have been interested in the topic. 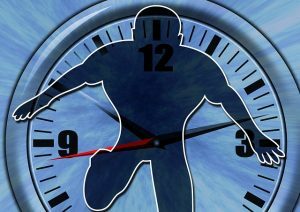 From anecdotal and scientific inquiry, one common experience is that time seems to speed faster when you’re older compared to when you’re younger. For example, one study had undergraduate students and 60-year-olds try to estimate the length of time in three minutes. Although the undergraduate students were pretty accurate, the 60-year-olds tended to undershoot the time, estimating that three minutes was up well before it actually was. Now, a number of theories have tried to account for this effect and one of them claims that this difference in time perception is attributed to how many “memorable” memories we make. That is, when you’re young, you judge the passage of times by “firsts,” e.g., first kisses, first days of school, first parachuting experiences. These are the memories, alongside other distinct ones, that make our lives feel so complex and extended: when you can remember doing lots of different things, it feels like you’ve had a lot of time to do them. However, when we’re older, most people don’t make as many noteworthy memories and the days just kind of blend together; hence, the quickening of time. For example, when you’re five-years-old, one year is equal to 20% of your life. When you’re 50, however, one year is only 2% of your life. Thus, as we get older, our frame of reference for a year becomes “devalued.” In our youth, those years don’t just seem long to us; comparatively, they are long. A third perspective on why time passes faster when we’re older has to deal with the responsibilities of being an adult. That is, when you’re young and December rolls around, you’re likely counting the days (maybe even the hours) until you get to open your presents. In this mindset, time can’t seem to pass any slower. When you’re older, however, we’re constantly on the move trying to get things done. And when there is inevitably not enough time to complete things, we perceive this inability to get done what we wanted to get done as time passing too quickly. Regardless of how old you are, though, the summer always seems to go by the fastest—which will be a tough comparison point if you’re one of the undergraduates watching the clock in my class this year. Mangan, P., & Bolinskey, P. (1997). Underestimation of time during normal aging: The result of the slowing of a dopaminergic regulated internal clock. In Annual Meeting of the Society for Neuroscience. Janssen, S.M.J., M. Naka, & W.J. Friedman (2013). Why does life appear to speed up as people get older? Time & Society 22(2): 274-290.